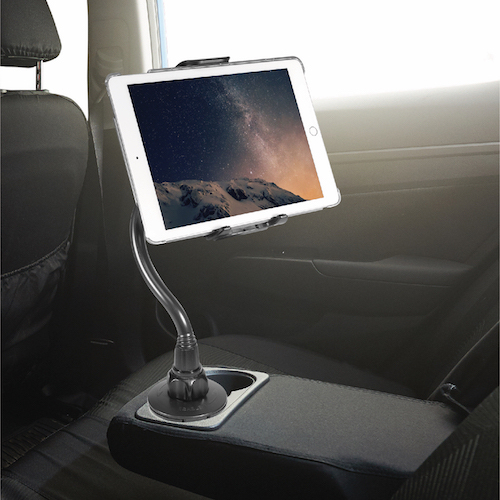 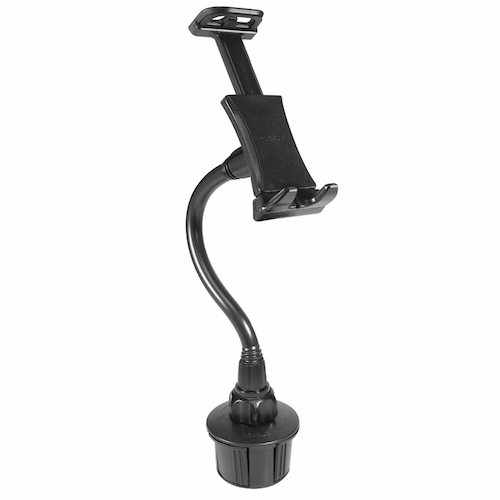 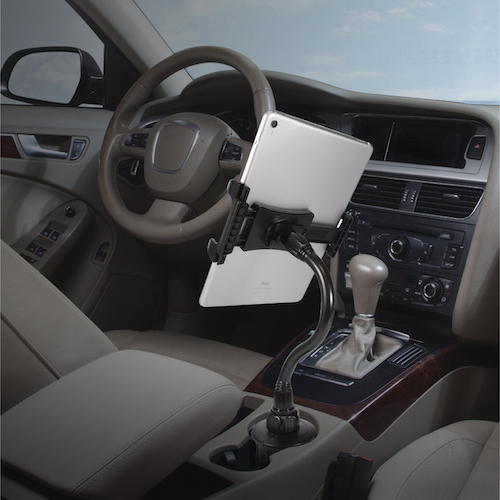 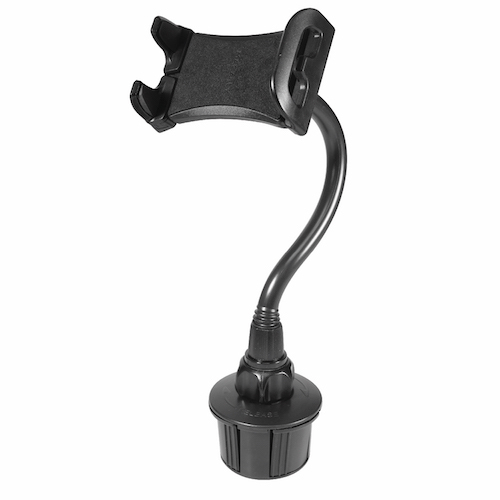 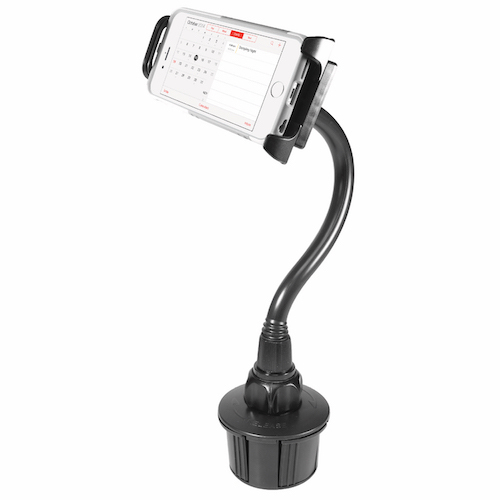 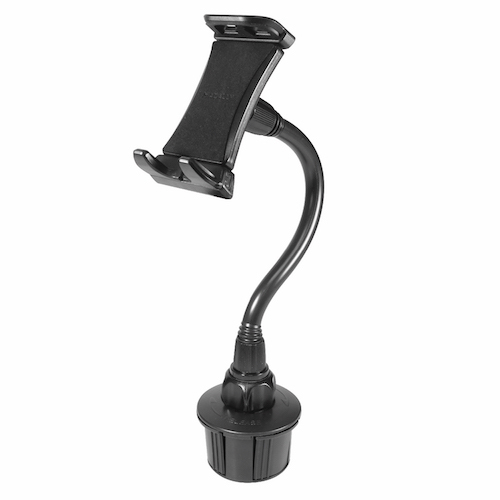 The Macally MCUPTAB is a fully adjustable car cup mount that allows you to use your iPad/tablet for navigation and to entertain passengers. 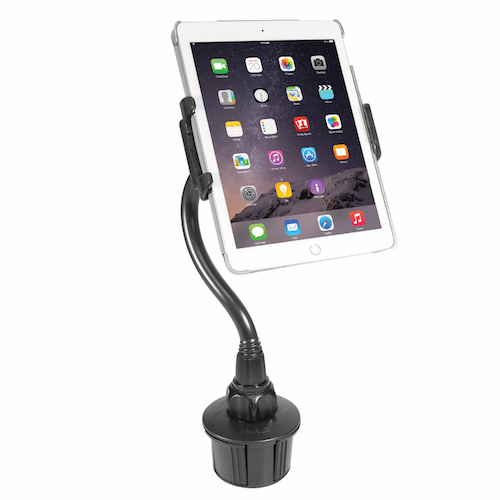 The holder fits any iPad/tablet, and also iPhone/smartphone, between 96 mm (3.5") and 203 mm (8") wide (with/without protective case). 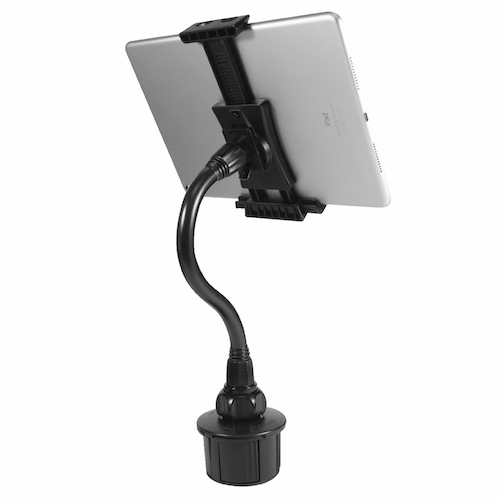 The soft cushioning on the holder provides a secure grip and protects your iPad/tablet from scratches. 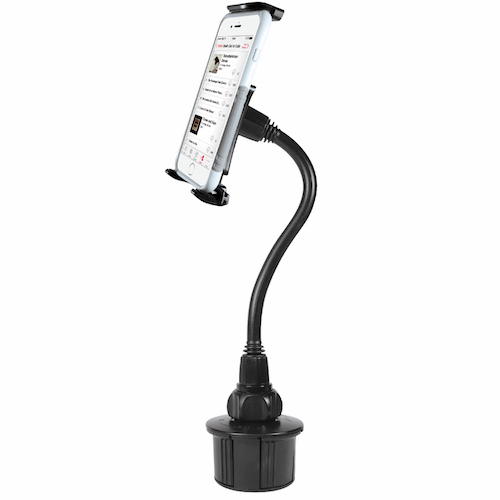 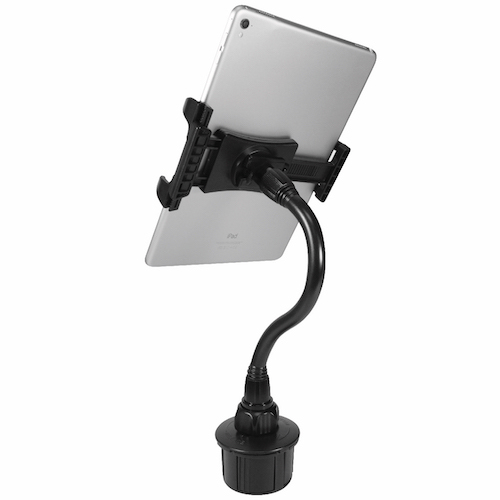 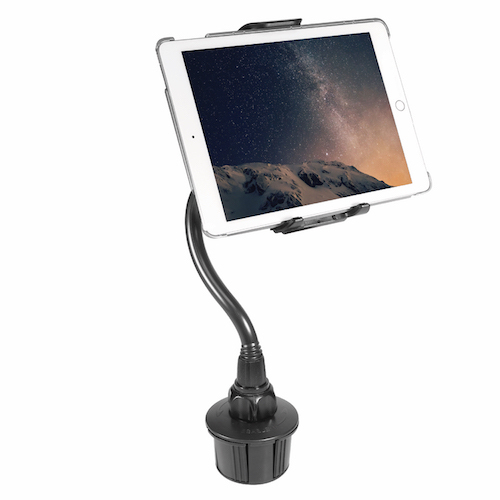 The super-long 20 cm (8") adjustable neck and 360-degree rotatable holder bring your iPad/tablet within reach and offer the best viewing angle. 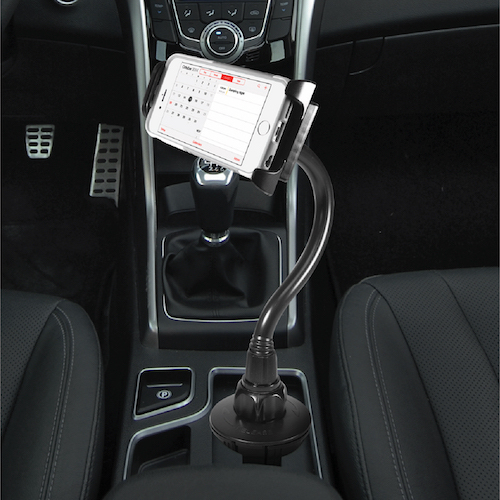 The Macally MCUPTAB has an expendable base to fit car cup holders with a width of 64 mm (2.5") to 101 mm (4").